RunCam 2 vs. Foxeer: Video Quality Comparison - RC FPV Flight - RC Reviews, HowTos & Test Flights! Other than updating the firmware of the Foxeer, we left both cameras at their stock settings and recording at 1080p@60fps. Please note that the FOV of these cameras is considerably different (120° for RunCam 2, 166° for Foxeer), which can also be seen in the video. Please note: YouTube compression is hitting this splitscreen video exceptionally hard, particuarly those parts where there is a lot of change in the video (e.g., flying close to the ground). Please be aware that these compression artefacts are far less pronounced in the raw video (and will probably be less pronounced in non-splitscreen YouTube videos). We have prepared raw video snapshots as well as a very short raw video for you, to further assess the quality for yourself. Please note: Single frames from 60fps footage are less clear than video snapshots from 30fps footage, since there is less information in an individual frame – this is the nature of 60fps video, but as an advantage you get much more fluid video. In general, the Foxeer is encoding its 1080p@60fps video at pretty constant 30Mbit/s (only with the latest 1.6 firmware, it was less before), while the RunCam 2 averages at about 35Mbit/s. The interesting thing here about the RunCam is, that first observations indicate that it seems to use variable bitrate rather than constant bitrate for encoding. Depending on how much information is in the picture, the bit rate of the RunCam 2 can spike to over 50Mbit/s or go as low as 20Mbit/s. This is a good thing, but needs to be further looked at to verify it. I would love to hear what you think. Please leave your opinion as a YouTube comment to our video above or feel free to comment on Facebook. 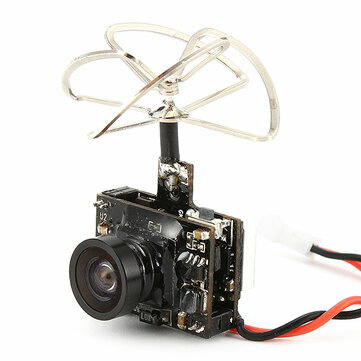 The RunCam 2 is available here. The Foxeer is available here.